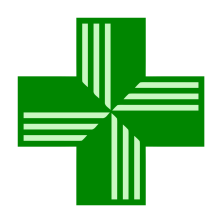 At Green Cross, our mission is to be and always remain the ‘pharmacy you can trust’ by providing excellent service with compassion, integrity and personal touch. Being a family owned business, we’re able to provide you with consistent customer service experience of interacting with same cheerful members of Green Cross family! We are genuinely proud of the fact that we know most of our patrons and their families by name! 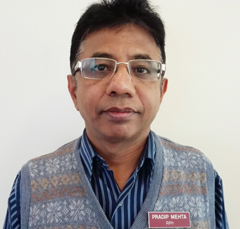 Pradip Mehta: R.Ph., has been working as a pharmacist at Green Cross Pharmacy for many years. Prior to accepting the retail pharmacist role, he has had a successful career in drug manufacturing. His pharmaceutical manufacturing background helps extend his customer service expertise in terms of formulating effective compounds customized for individual needs. In addition to being an expert in dispensing the prescription medications, he has extensive knowledge about OTC, herbal ingredients, nutritional supplements and compounding medications. Pradip is well regarded by the healthcare provider community, and consistently receives great feedback from patrons for his 'always willing to help' attitude. Nadiah: started working in retail pharmacy at CVS in 2014. 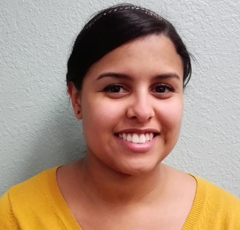 She now serves as a certified pharmacy technician in the Bedford location at Green Cross Pharmacy where she enjoys interacting with customers and serving the community everyday. Eric: moved from Austin to the Fort Worth area in 2015 to continue his education in earning a Master's in Business. 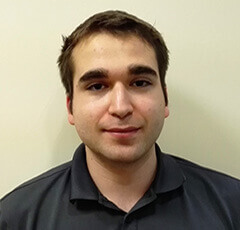 He currently holds a Bachelor's in Human Biology and strives to improve the customers' experience at the pharmacy. He is working as a certified pharmacy technician at Green Cross Pharmacy.